Many people ask if Preparation H is good for bags under our eyes. Plexaderm Skincare put this question to the test, and results showed that Plexaderm Rapid Reduction Cream PLUS was a better solution for treating bags under our eyes. 1. Is it safe to apply Preparation H for bags under our eyes? The DIY use of Preparation H for under-eye bag removal is a common question. However, several board certified specialists suggest that long term use of hemorrhoid creams could make the skin around the eye area worse, and can even lead to health problems. 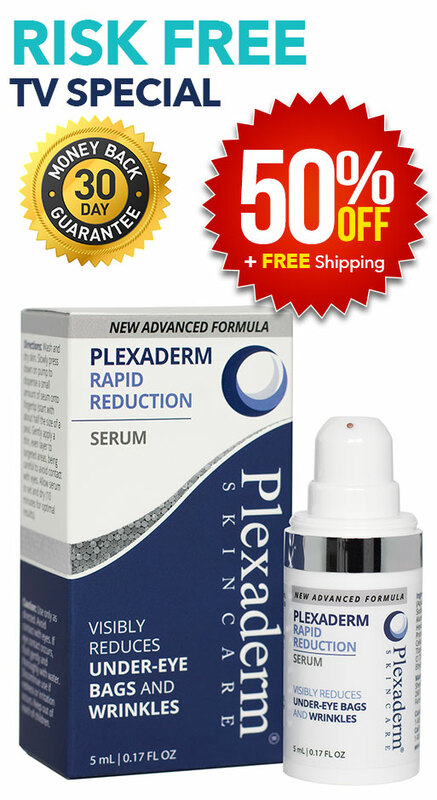 Plexaderm Skincare’s Plexaderm Rapid Reduction Cream PLUS, a popular cream used to visibly reduce under eye bags, decided to test it out. 2. The Preparation H hemorrhoid cream appeared thick and goopy. Upon opening, the hemorrhoid cream appeared thick and goopy. The skin appeared greasy after applying it. Observers of the challenge even thought the model testing the Preparation H appeared to be crying. Concern was raised over the use of makeup with it, and spectators concluded that the Preparation H cream would need to be wiped off before any use of cosmetics. 3. The Plexaderm application was nearly invisible, and started to work within minutes. On the other hand, most Plexaderm users see and feel results within three to five minutes, and for some individuals, up to ten minutes. By the five minute mark, there was a noticeable difference from Plexaderm. The under eye bags were visibly reduced, and the skin was nearly flush. Bottom line; Plexaderm works. Plexaderm outperforms Preparation H.